Hello, Fellow Book lovers and welcome back to my Blog. I first would like to apologize because these past three weeks or more have been heckled it, So I haven’t had any blogs up because I haven’t been able to read. Now let's get back to regularly scheduled programming. 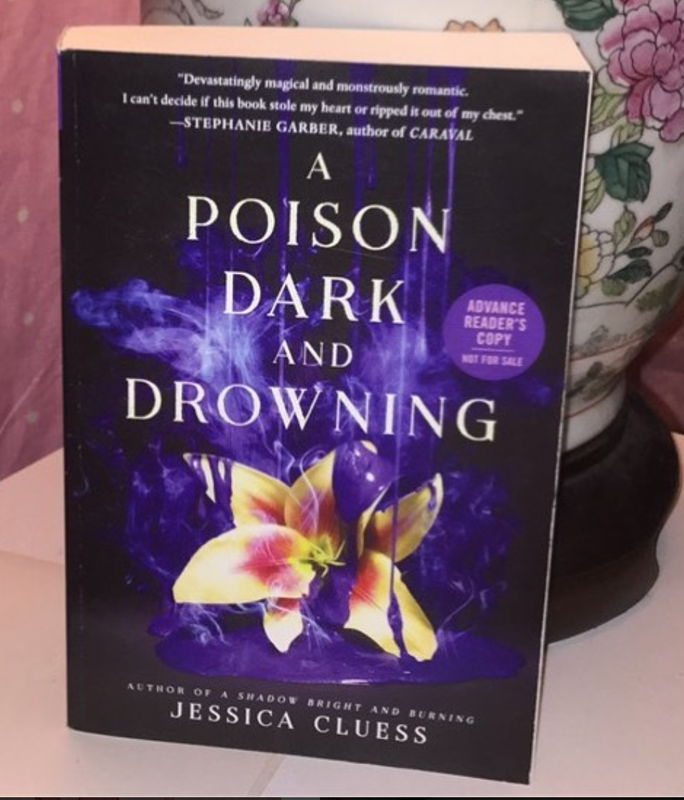 This blog will be about the second book, Poison Dark, and Drowning, in the Kingdom On Fire series by Jessica Cluess. This book was sent to me by Penguin Random House so I would like to send a Huge thank you to them for allowing me the chance to review this new book. This book will be available on September 19th for order and it is the perfect Halloween, Fall time read. It deals with so many awesome spooky magical things. Now on to my summary of this book. This book takes us back to the first one, by reintroducing us to Henrietta, Blackwood and all of the other guys. We begin where we left off at the end of the first book, but now Blackwood is taking care of Henrietta. Henrietta is all about learning more about who she is, and where her Parents are. Plus Henrietta is still trying to fix other people as well, which is something that continues from the first book. As we go into this second book, Henrietta begins to attract many more young Suitors. We also meet some new awesome characters. We learn more about the Sorcerer's, the Demons, the witches and the magicians about in this world. We learn what Magic has to do with Henrietta, even more than we did in the first book. We as readers, really do start to notice the Harry Potter themes throughout this book. Plus We gain a new couple, that some of us might be happy to see and have been waiting for. I really do believe that you should honestly pick up this series, especially if you love spooky books around this time of the year. Now onto my final thoughts. I am so excited by this book, because of how action pack it is. Jessica's really kept the pace in this book very fast, almost like bam!!! here is all of the action which leads to you as the reader, wanting to read more books in this series. The feelings you get when reading this series is very similar to books 5, 6, and 7 of Harry Potter. Just like Harry Potter, you learn who was really your friend all along and who wasn’t. You have magicians that seem full of themselves but really want redemption for mistakes they made. But then you have demons who might have been more at fault for this new world then others would suspect. Pretty much when you turn every corner, you have a new twist of this secret from long ago. As for the rating, I rated this book a four out of five, because of it as an amazing spooky mysterious story that will have you attached to it until its finish but still leave you wanting more. These first two books really leave you with a cliffhanger and no real end. Which is great for a series but I still like it when the book has that aww moment where you know its end but it still holds more for the next book type of ending. It just has no real satisfaction of an ending. 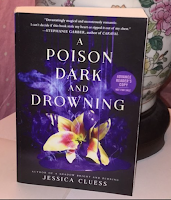 So overall it's a great book otherwise, and once again like before I want to say, Jessica's does have a way with description that just holds your attention for the entire book. 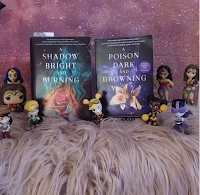 I find anybody from the age of 13 and up, will enjoy these books and want to keep reading the series, because I know I do. I really do hope you pick up this series and start reading it because it's an amazing read. It has demons that are very descriptive and yet terrifying. It has witches that are not supposed to be good but are, and Sorcerers who seem like the saviors but are destroying things daily. Then we have the magicians who might not be the worst people on the planet, plus it takes place in Victorian times which just give me Jane Eyre vibes all time. I am so in love with this series and can’t wait for the next book to come out. Once again thank you Penguin Random House for sending this Arc to me to review, I honestly welcome more if you have them. Also, this book is released on September 19th, 2017 so please go preorder now and linked below is my review of the first book so you can read that too. Now as always the Author link, as well as mine, will be listed below, until next time friends.